In six seasons of Arrow — and if you count the other series of the Arrowverse including DC’s Legends of Tomorrow, The Flash, and Supergirl — dozens if not hundreds of characters from the DC Comics library have come through. Appearing at the ACE Comic Con in New York earlier today, Arrow’s Executive Producer Marc Guggenheim revealed one that he hasn’t been able to use yet but would like to — The Question. 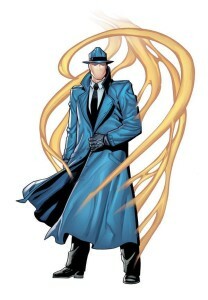 The inspiration for the Watchmen‘s Rorschach, The Question was a creation of Steve Ditko, one of the creators of a character you may have heard of called Spider-Man. 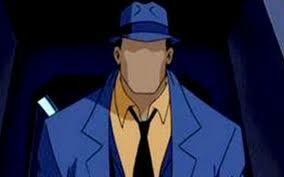 Originally created for Charlton Comics and later acquired by DC, he has a very iconic look with a blank face, and was one of the highlights of the Justice League Unlimited animated series. “I’ve made no secret of the fact that one day, I’d love to see The Question on Arrow,” Guggenheim said during a DC TV panel at the convention. “I think The Question is just tailor-made for Arrow,” he continued. And, of course, there are Easter eggs or small character appearances, like B’Wana Beast in Legends of Tomorrow this season. Even character names like Felicity Smoak are Easter eggs to comics lore. “DC has been very kind with letting us be mischievous in that way,” Marc said. You can see video of the Marc Guggenheim panel below.